Defending champions Desiree Linden and Yuki Kawauchi head the elite field that includes nine former winners. Organisers have announced the complete elite fields for the 123rd edition of the Boston Marathon on Monday, April 15. Nine Boston Marathon champions and seven Boston Marathon wheelchair champions will challenge their respective fields. Desiree Linden and Yuki Kawauchi were the surprise 2018 winners as they battled through the rain and blustery winds while many of the favourites faltered in the far from ideal racing conditions. 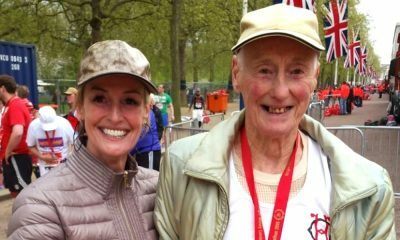 The duo will return to defend their crowns to lead a combined field that has won more than 200 international marathons and includes Olympic and Paralympic medalists, World Championships Marathon medalists and Abbott World Marathon Majors champions. 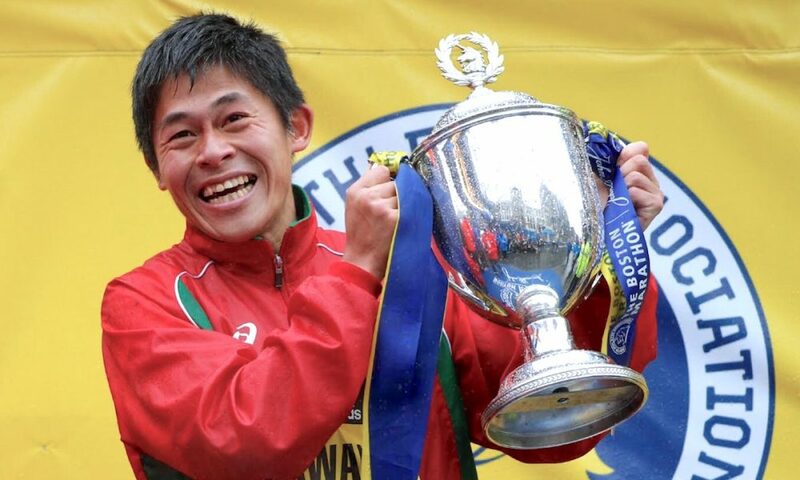 Leading a formidable field of 29 elite men are: 2018 Boston winner Yuki Kawauchi of Japan; 2017 Boston and 2017 IAAF World Marathon Champion Geoffrey Kirui of Kenya; two-time Boston champion and 2018 New York City Marathon champion Lelisa Desisa of Ethiopia; 2016 Boston victor Lemi Berhanu of Ethiopia; and 2012 Boston champion Wesley Korir of Kenya. Chasing the champions are 2:04 marathoners Lawrence Cherono of Kenya, a two-time Amsterdam, two-time Honolulu, Seville and Prague champion; Sisay Lemma of Ethiopia, winner of Carpi, Warsaw, Vienna, Frankfurt and Ljubljana; and Solomon Deksisa of Ethiopia, winner of Mumbai and Hamburg. The Japanese pair of Hiroto Inoue and Hayato Sonoda also join the team. Inoue won the 2018 Asian Games Marathon and Sonoda was runner up in Beppu-Oita last year. From Eritrea, 2015 World Championships Marathon gold medalist and 2016 New York City champion Ghirmay Ghebreslassie will be in contention as will countryman Zersenay Tadese, a four-time Olympian, former world record holder in the half marathon and winner of six World Championships titles. The previously announced American athletes include third place finisher last year, Shadrack Biwott; Olympians Dathan Ritzenhein, Abdi Abdirahman, and Jared Ward; as well as Jeffery Eggleston, Elkanah Kibet, Timothy Ritchie, Scott Fauble, Aaron Braun and Brian Shrader. Among those making their Boston debuts are several men who ran their personal best times in 2018: Rotterdam winner Kenneth Kipkemoi of Kenya; two-time Toronto champion Benson Kipruto of Kenya; and Beirut winner Mohamed Reda El Aaraby of Morocco. Also joining the international field is British Olympian Scott Overall and 2:06 Kenyan marathoners Felix Kandie, the Athens and Prague champion; Festus Talam, a two-time Eindhoven winner; and Philemon Rono, a two-time Toronto champion. On the women’s elite team, John Hancock has assembled an accomplished field of 22 elite athletes, 11 of whom have personal best times under 2:23:00. 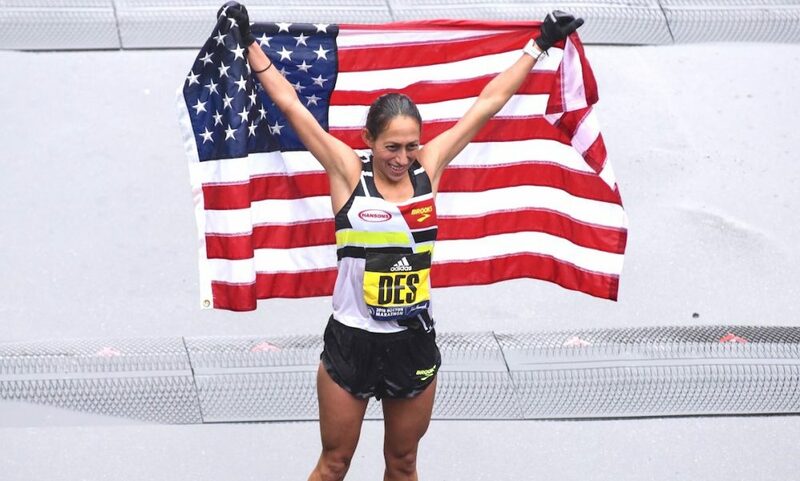 Leading the way is 2018 winner Desiree Linden of the United States; two-time World Championships Marathon gold medalist, three-time Abbott World Marathon Majors series winner and 2017 Boston champion Edna Kiplagat of Kenya; 2015 Boston, Prague and Las Vegas winner Caroline Rotich of Kenya; and 2012 Boston, Hamburg, Toronto, Torino and Singapore winner Sharon Cherop of Kenya. Challenging the Boston champions are 2:19 Ethiopian marathoners Aselefech Mergia, a London champion and three-time winner of Dubai; Mare Dibaba, the 2015 World Championships Marathon gold medalist, 2016 Olympic Marathon bronze medalist, Chicago Marathon champion, Beijing and two-time Xiamen winner; and Worknesh Degefa, a Dubai champion. Last year’s second and third place finishers, Sarah Sellers of the United States and Krista DuChene of Canada return to improve their positions. 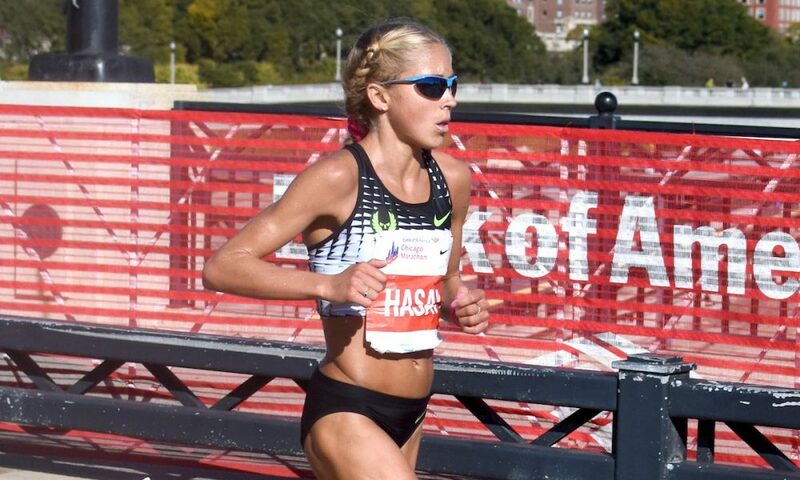 They join Olympic and World Championships silver medalist in the 10,000m, Sally Kipyego of the United States; and previously announced U.S. elites: Jordan Hasay, third at Boston in 2017; Sara Hall, 2017 national champion; Lindsay Flanagan; Becky Wade; and Sarah Crouch. Joining them will be a trio of Ethiopians: two-time Olympian Meskerem Assefa, winner of Rotterdam and Frankfurt; Olympian Belaynesh Oljira, 2015 World Championships 10,000m bronze medalist; and Marta Megra, a Toronto champion. Rounding out the field and new to the Boston course are Olympian Betsy Saina of Kenya, a Paris champion; Olympian Eva Vrabcova of the Czech Republic, the bronze medalist in the 2018 European Marathon Championships; Olympian Aly Dixon of Great Britain; and making her marathon debut is Mary Wacera of Kenya, the World Championships Half Marathon silver medalist in 2014 and bronze medalist in 2016. In the men’s wheelchair race, defending champion Marcel Hug of Switzerland looks to earn his fifth wheelchair title and is part of a stellar international field featuring 10-time winner Ernst van Dyk of South Africa. Joining Hug and van Dyk are fellow Boston winners Masazumi Soejima and Hiroyuki Yamamoto (both from Japan) as well as former course record holder Joshua Cassidy (Canada). 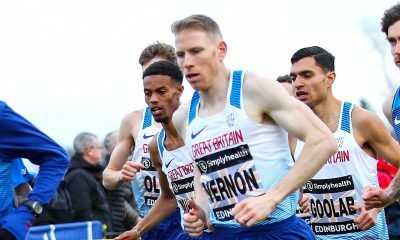 British stars David Weir and Johnboy Smith; Japan’s Hiroki Nishida, Ryota Yoshida, and Kota Hokinoue; Canada’s Tristan Smyth; and Ireland’s Patrick Monahan round out the international men’s field. American men’s contenders Daniel Romanchuk, Joshua George, Aaron Pike, James Senbeta, Krige Schabort, and Brian Siemann are all entered as well. Romanchuk won the 2018 New York City and Chicago Marathons. Manuela Schar of Switzerland returns to the scene of her course record and world best performance in the women’s wheelchair race. Schar timed a blistering 1:28:17 from Hopkinton to Boston in 2017, becoming the first woman ever to dip under the 1:30 barrier in Boston. She’ll be joined on the starting line by compatriot Sandra Graf; Madison De Rozario and Eliza Ault-Connell of Australia; Margriet Van Den Broek of the Netherlands; Diane Roy of Canada; and Aline de Rocha of Brazil. Five-time winner and defending champion Tatyana McFadden fronts the American charge, leading Susannah Scaroni, Amanda McGrory, Arielle Rausin, Katrina Gerhard, and Michelle Wheeler. 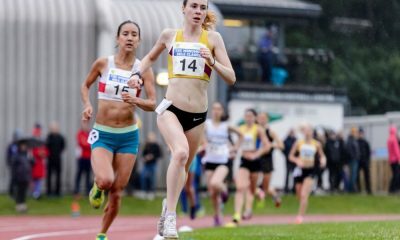 Great Stirling XCountry: Who, what and when?